Et Voila - this blog is a year old today. I'm quite pleased about it really... I haven't posted every day religiously but I've managed to drag a lot of shots out of my daily wanderings.. which is nice, and the blog is definitely a motivator, also nice. Anyway, there are 30x40cm prints to be won by the first three people who send me the correct answer (do not post publicly though!). 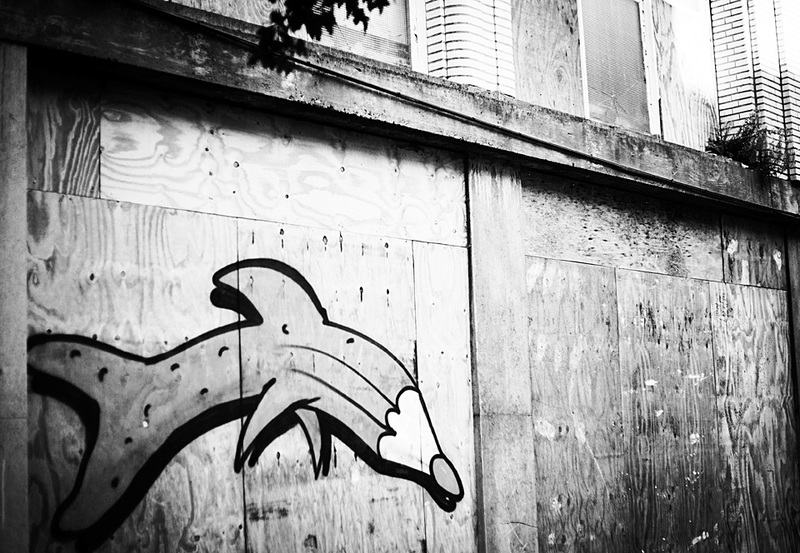 I'm sending you on a little hunt through some of my favorite shots of the last year... each photo will have a clue (in bold) to the next one. I will give you a year and an event, you will need to find the right day and month and move on to the photo posted on that day. A little tip: you don't need to manually cruise through all the shots... there are the categories to the left, and, better still, a search box (if you enter August 18 for example, you should find the shot faster!). I really like this shutter and the markings of the old lettering on Rue du Namur...I often walk past and think it would make a nice backdrop but it's the last slice of hill before "Home" so I'm often too tired/braindead... I'll go again sometime, see if I can find some more exuberant characters walking by. On a different note: In three days this blog will be a year old - in order to celebrate this landmark, I am organising a little giveaway competition... here's how it works: on Sunday (the anniversary), I will post a photo at 3pm. In this posting I will ask a question. The first three people to send me the correct answer via email/contact form on this website/facebook message/private twitter message (anything not public, basically) will each receive a 30x40cm print (or equivalent if square) of any one photo published in the last year on this blog. 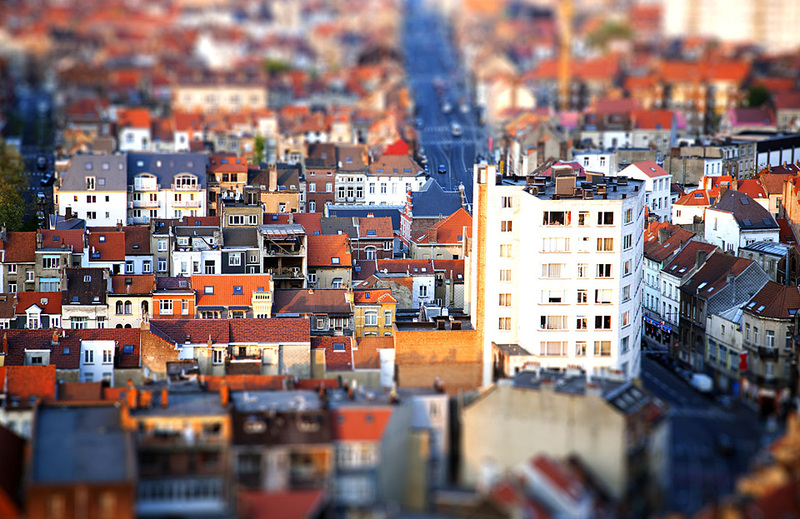 Some tilt-shift fun - Brussels rooftops around St Josse.